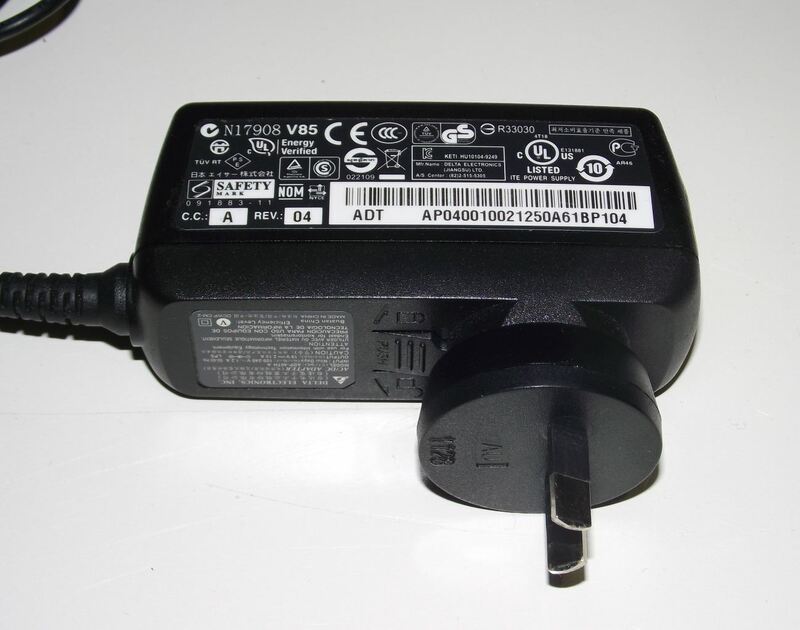 Notice all the compliance labels on this plug pack – not one of which is relevant in Australia. We are overrun with RF radiating consumer electronics. They have invaded every part of our domestic, commercial, manufacturing and automotive lives. Globalisation of product markets has had a marked negative impact on compliance standards and quality contol. We are surrounded by so much of this equipment that it has become ubiquitous; to the extent we don’t even notice it. Much of it is imported and does not comply with Australian standards, and this is the underlying reason for so much of the noise that radio amateurs suffer; especially in built up suburban areas. The compliance mark (or Tick) is shown to the left. It supercedes all previous ticks, images or labels that some manufacturers or equipment may use. Most, not all, consumer equipment that has dirty RF compliance can radiate noise in the range from 2-3 metres up to 30-50 metres. Properly installed data cables will tend not to radiate more than 2-5 metres. However, and by contrast, non-compliant equipment can radiate via power cables up to 30-50 metres. The table below provides some broad profiles of noise sources and possible mitigation strategies. Where available, a sample noise file has been included for reference purposes. Switch Mode power supplies These devices power many different types of consumer electrical devices. Generate square-waves in the range 20-120kHz. There will be harmonics and peaks spaced at multiples of the switching frequency. Noise will be broadband in nature. 15-30m Replace with linear power supplies. Fluorescent Lights These will exhibit a broadband noise similar to switch mode power supplies. 30m + Good grounding. Keep radio receivers as far away as possible. Replace with quality LED light. Battery chargers – both automotive, mobility and small USB style and walwart chargers These will exhibit a broadband noise similar to switch mode power supplies. They may also have spikes across sections of the HF spectrum. 30m + Install clip on ferrites or suppressors. Turn off the offending device when operating radio. Electric motors As used in some appliances and may create a rhythmic noise that varies with motor speed 30m + Install a filter or capacitor to suppress or pass the noise to ground. Thermal contacts For example an urn, fish tank thermostat, electric blanket, hot water service may result in a broadband buzzing style of noise. It may also present as pulsing between 1-5 seconds 50-300m Install a filter or capacitor to suppress or pass the noise to ground. A snubber could be used. One VK3 ham happily recommneds the following LED light.